Yesterday, Ford unveiled their very first right-hand-drive Mustang, which is all a part of Ford’s planned global expansion. This new 2015 model is set to debut in the U.S. this fall and will also be offered in more than 110 countries, including right-hand markets like England, Australia, India, and South Africa. 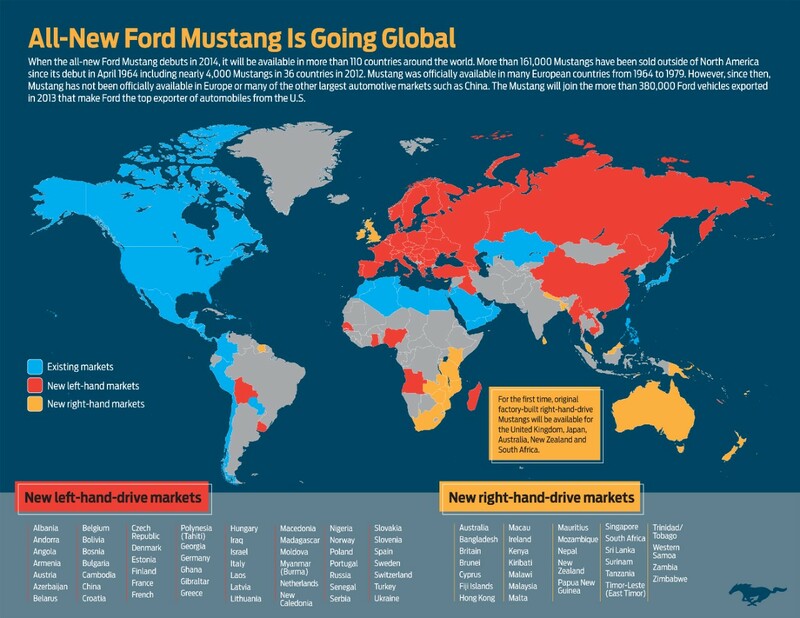 Since the Mustang originally debited, the United States has always been the primary market for its distribution with more than 9.2 million American sales in its long and storied history. That is a huge number compared to the meager 161,000 that have been sold outside of the States during that same time period! Actually, many of those 161,000 cars were then altered to right-hand-drive cars by aftermarket companies. So, by expanding their production, Ford is just giving the people what they want! 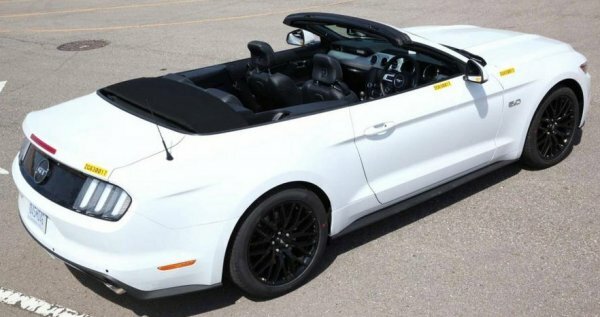 In case you were wondering, along with being offered in right and left-hand –drive options, the new 2015 Mustang will be available with three engine configurations: a base V-6, a Mustang EcoBoost, and the Mustang GT. But the real question is: do you have a problem with the ultimate American car going all European?? This entry was posted in Culture and tagged ford, mustaang, mustang, right-hand-drive. Bookmark the permalink.